Your fingerprint cannot be reverse engineered to recreate your information and be used to access particular levels and areas of a company. The biometrics industry is continuing to grow at a huge rate - particularly with the rise in sophisticated security breaches. The ever-pressing concern of security has seen a global movement towards the advantages of biometric access control systems. In particular, fingerprint scanners, are a substantial boon for companies when it comes to office security, workforce management and restricted access. Biometric readers provide the much-needed reassurance for many companies. As such, ievo Ltd - leading specialists in biometric access control systems - are sharing their guide to biometrics. Biometric readers - such as fingerprint scanners - are designed to recognise the unique characteristics and behavioural traits of an individual. For instance, a biometric reader will measure your fingerprint against that of the template recorded, establishing whether you are, in fact, that individual. Most importantly, biometric data is completely separate from that of personal information. While an individual can replicate a key card, it’s highly unlikely they can do so from a reader. Essentially, your fingerprint cannot be reverse engineered to recreate your information and be used to access particular levels and areas of a company. A biometric reader is designed to match the template of your finger, for instance, against the registered user template stored in the system, to establish whether it is you. Of course, it’s slightly more technical, but that’s the general idea. The reader will capture that image of your fingerprint, recording the specific and unique characteristics. It will measure both the surface and subsurface, with the data transferred back to the control board ready for use at a later date. It’s important to note that the reader does not store the image of your finger, but the characteristics. Therefore, hackers are increasingly unable to replicate or duplicate your fingerprint - offering enhanced business and employee security. The biometric industry is continually adapting to the security needs of users. The actual industry isn’t new, with even iris recognition dating back to 1936. However, the increasing demand for tighter security - particularly as we hold and store personal information regarding our consumers - means the demand for the technology has increased. Biometric security is one of the many technologies that can fight the rise of security breaches, data hacking and identity theft - providing an alternative to traditional security that leaves your business vulnerable today. Why is biometric security popular? 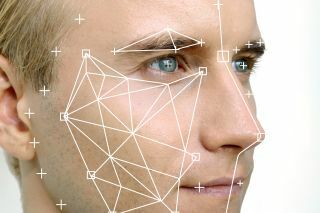 Biometric security is popular for a myriad of reasons. In the case of an office, workforce management is a significant bonus to biometric readers. Managing the team becomes faster and more efficient, enabling directors to track employee attendance and reduce any instances of time theft. Similarly, you no longer have to rely on employees to maintain their key cards and remember passwords, increasing the vulnerability of your company and risk of human error. Biometric readers can also be used for a number of industries, such as government, health, retail, financial and government. Essentially, they ensure secure confidential data is safe and eliminate many of the risks of security breaches. Passwords and key cards are no longer enough to maintain the security of your company. The growth of the industry is already exponential and is expected to surpass $23.45 billion by 2020. It’s understandable that employees would, initially, be nervous about the technology. In an age where personal information is such a ‘hot topic’, employee safety remains paramount. Your employees can be reassured that their fingerprints are not stored and it’s highly unlikely they could ever be replicated. The readers only ever store templates of their characteristics, based on data. Basically, it’s a mathematical formula, reducing the risk of a breach. As mentioned above, there are a huge number of benefits to biometrics. Of course, the heightened security is a priority. The fingerprints are almost impossible to steal and compromise, providing reassurance against the traditional options. The fingerprint is unique to the individual, with verification offering enhanced confidence and accountability. The readers can even be installed with other technologies to increase security. Likewise, convenience plays a major part in the popularity of biometrics. Key cards and passwords are extremely vulnerable today - especially if new passwords are emailed to colleagues. It’s particularly easy to hack an email and discover the password, or even watch an employee enter a code into a lock. However, you needn’t worry about misplacing your fingerprint. The key cards and passwords can also leave restricted areas at huge risks. If an employee misplaces their badge, an unwanted visitor could use this to access areas within your company. The password or card system will have no way of identifying whether that is the correct individual. Similarly, the labour for replacing these badges can prove costly. The fingerprints are attributed to an individual, and that template is yours alone. Again, this reassurance and reliability are key in the digital era. The risk of human error, such as a slip of the tongue when stating the passwords to someone who is not verified, is not enough to keep out sophisticated hackers. Should you install biometrics, you can even improve timekeeping and workforce management. Time theft is, particularly, costly for businesses, but a fingerprint system will track when a person arrives, and leaves. This makes for more accurate time logs and less confusion than traditional time sheets. Costs have long been one of the many factors that have led business owners to opt for alternatives when it comes to security. If your company boasts large numbers of staff and significant confidential data, you could even save costs in the long-term with regards to biometrics. Upgrades also, typically, come in the form of software rather than the physical model. Installation is, generally, relatively straightforward - even if integrating a full system. Depending on the size of your reader and integration, it can be completed that very same day. Ultimately, there are many reasons to integrate biometrics. As more companies turn towards the global advantages, this is likely going to prove the security of the future.